Award-winning Irish writer Nuala Ni Chonchúir has been appointed guest fiction editor of the Spring 2014 edition of The Stinging Fly. Nuala is an esteemed member of our little online book club (one Irish book every month or so – find out more here), so I asked her a few questions about what exactly Stinging Fly readers can look forward to next year. Hi Nuala. So what exactly is the “guest fiction editor” going to be responsible for? Basically I am responsible for all the fiction aspects of this issue: so I get to read all the submissions that come in this June and from them I pick pieces to publish. I am having a special Flash Fiction Showcase (stories up to 500 words) as part of the issue and I am interviewing a very fabulous American woman writer for it too. Will you be taking an open-ended approach or look for specific themes/commonalities between pieces? No, I don’t need the fiction submitted to be on any theme, they won’t be linked (except by accident). I am looking for writing that is attentive to language and that shuns the mundane. What do you think of the current state of Irish fiction? Is there a danger that there are some/many excellent Irish writers out there who are going undiscovered, or are you satisfied that something/somebody good enough will inevitably make a breakthrough? Irish fiction is healthy in that there are plenty of people writing and plenty of books being published. Whether all those who write will publish is another thing. There is no quick fix in writing and no end to the work. And it’s a very up-and-down life. Only the determined few stick with it. More than talent writers need stay-with-it-ability. I assume it will be mostly short stories? If so, what are the short stories you keep going back to? Who’s the short story practitioner(s) that you’d advise emerging or aspiring writers to study? Yes, The Stinging Fly is one of the consistent promoters/champions of the short story among Irish literary magazines – I am looking for stories, long and short. I read so widely I rarely get to re-visit writers I love. But among the short stories I return to are Flannery O’Connor’s “Good Country People” and James Joyce’s “The Dead”. I also read my contemporaries, here, in the UK and in America, and beyond. European fiction is fascinating to me – we don’t get enough of it in translation. Anyone who wants to write short fiction should be reading it. Read everything from Chekhov to Ron Rash to Caitlin Horrocks. The site The Short Review reviews new and older collections. Go there for inspiration. Is there such thing as the perfect short story? Yes, of course, but mine won’t be yours and vice versa. Try Manuel Munoz, try Elizabeth Strout, try Wells Tower, try John McGahern. All write fabulous, perfect stories in different ways. Nuala Ni Chonchúir’s latest short story collection Mother America is published by New Island. 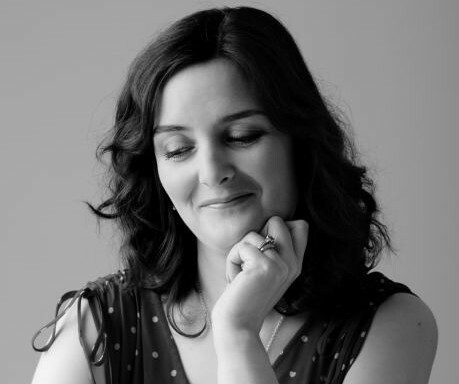 She also blogs regularly over here, and she’s giving a one-day course on Flash Fiction at the Big Smoke Writing Factory tomorrow (May 11th). Find out more about The Stinging Fly here.